Remember when I made this mini for the Post Sew South Swap? I follow Janice on her blog Better Off Thread and I was following the making of this mini as she progressed and blogged about it. Janice was nice enough to share this pattern with me when it was in it's infant stages and it was a breeze to follow. She has put the final touches on this pattern and made it available in her Craftsy store. She will be posting tutorials to help you follow the pattern on her blog, so be sure to check it out. I know several of my readers and Instagram friends were interested in making this mini. Thanks for the heads up Di! I think I need to give this a try! I love yours! Fabulous! I just love this and immediately purchased the pattern. Thank you! Super cool! 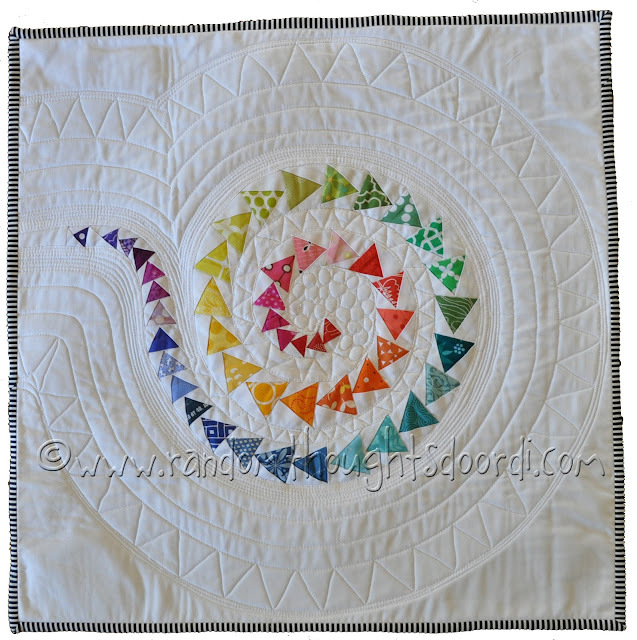 I really love the quilting!! thank you for sharing, Diane! You did such an amazing job on your mini! Yep! Got it yesterday and started on it last night! Wonderful!